Bianca was born in Austria/Europe. In 2014 she graduated with a Bachelor’s Degree in Multimedia Art and Design from the University of applied Sciences Salzburg. She continued her studies at the Academy of Fine Arts in Leipzig, Germany until 2017. She was introduced to Nonviolent Communication and Restorative Practices in 2011 and attended a one year intense training in 2016 to become a certified Transformational Coach through the US based “Leadership That Works” Program. She has been involved as a Coach as well as an Artist in Jail Projects in Germany as well as in India and transitioned into self employment as a coach serving/empowering Individuals around Gender inequality, Grief and Belonging. 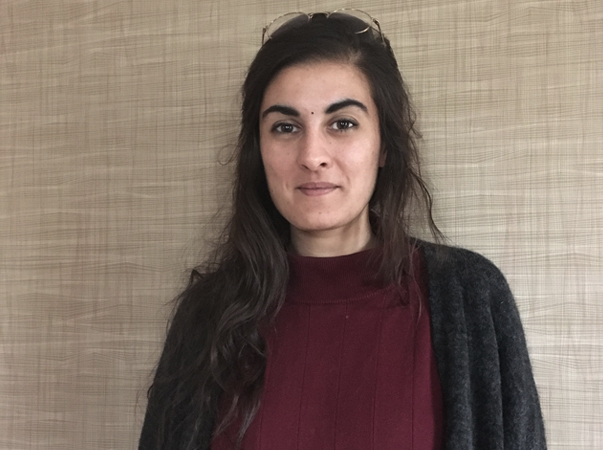 In 2017, she moved to Rochester and joined the Gandhi Institute in October 2018 and is feeling excited to be part of their mission. Bianca feels passionate about traveling, merging art and nonviolent/restorative/transformative principles as well as exploring the importance of home and belonging.